At Priory Park we have left nothing to chance when it comes to additional facilities. Our members lounge provides snacks & refreshments and our large screen TV. We have luxury & secure changing and shower facilities with sauna’s in both male & female locker rooms. Our main fitness suite consists of a wide range of Resistance & Cardiovascular equipment. 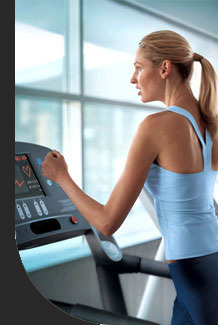 Joggers, Steppers, Ellipticals, Rowers and Cycles all assist in burning those calories & improving your Cardio health. Our extensive range of Resistance equipment, all easy to use will trim and tone those muscles. Classes for everyone, from Zumba, Body Combat to Yoga.